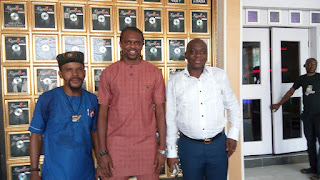 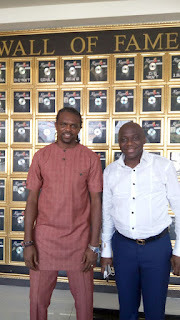 Legendary Footballer Kanu Nwankwo was yesterday received at the office complex of Tettrazzini Group by the Chairman, Chief Prince Donatus Okonkwo. The duo had an impressive indoor meeting geared towards a fruitful business collaborations and working relationship. It is worthy to note that Rumours VI will be having its grand opening with PHYNO and other super star‎s on Friday, 24th March, starting from 10:00pm.